Jacques Tati was of Russian, Dutch, and Italian ancestry. His father, George Emmanuel Tatischeff, born in 1875 in Paris (d. 1957), was the son of Dmitry Tatishchev (Дмитрий Татищев), General of the Imperial Russian Army and military attaché to the Russian Embassy in Paris. The Tatischeffs (also spelled Tatishchev) were a Russian noble family of patrilineal Rurikid descent. Whilst stationed in Paris Dmitri Tatischeff married a French woman, Rose Anathalie Alinquant. (Russian sources indicate that she was a circus performer and that they never married). Under suspicious circumstances Dmitri Tatischeff died from injuries sustained in a horse-riding accident shortly after the birth of George Emmanuel. As a child George Emmanuel experienced turbulent times, such as being forcibly removed from France and taken to Russia to live. In 1883 his mother brought him back to France where they settled on the estate of Le Pecq, near Saint-Germain-en-Laye on the outskirts of Paris. In 1903, Georges-Emmanuel Tatischeff married the Dutch-Italian Marcelle Claire van Hoof (d. 1968). Together they had two children, Natalie (b. 1905) and Jacques. Claire's Dutch father, a friend of van Gogh, whose clients included Toulouse-Lautrec, was the owner of a prestigious picture-framing company near the Place Vendôme in Paris, and he brought Georges-Emmanuel into the family business. Subsequently, Georges-Emmanuel became the director of the company Cadres Van Hoof, and the Tatischeff family enjoyed a relatively high standard of living. Jacques Tatischeff appears to have been an indifferent student, yet excelled in the sports of tennis and horse riding. He left school in 1923 at the age of 16 to take up an apprenticeship in the family business, where he was trained as a picture framer by his grandfather. Between 1927 and 1928 he completed his military national service at Saint-Germain-en-Laye with the Cavalry's 16th Regiment of Dragoons. Upon graduating the military he took on an internship in London where he was first introduced to the sport of rugby. Returning to Paris, he joined the semi-professional rugby team Racing Club de France, whose captain was Alfred Sauvy and whose supporters included Tristan Bernard. It was at the Racing Club de France that Jacques Tatischeff first discovered his comic talents, entertaining his teammates during intervals with hilarious impersonations of their sporting endeavours. He also first met Jacques Broido, and they would become lifelong friends. Between 1931 and 1932 the global economic crisis reached France at the same time he left both the Racing Club de France and, to his family's disapproval, his apprenticeship at Cadres Van Hoof. Giving up a relatively comfortable middle-class lifestyle for one of a struggling performing artist during this difficult economic time, he developed a collection of highly physical mimes that would become his Impressions Sportives (Sporting Impressions). Each year from 1931 to 1934 he would participate in an amateur show organised by Alfred Sauvy. "From now on no celebration, no artistic or acrobatic spectacle can do without this amazing performer, who has invented something quite his own...His act is partly ballet and partly sport, partly satire and partly a charade. He has devised a way of being both the player, the ball and the tennis racquet, of being simultaneously the football and the goalkeeper, the boxer and his opponent, the bicycle and the cyclist. Without any props, he conjures up his accessories and his partners. He has suggestive powers of all great artists. How gratifying it was to see the audience's warm reaction! Tati's success says a lot about the sophistication of the allegedly "uncouth" public, about its taste for novelty and its appreciation of style. Jacques Tati, the horse and rider conjured, will show all of Paris the living image of that legendary creature, the centaur." In September 1939 Tati was conscripted back into his 16th Regiment of Dragoons which was then incorporated into the 3rd Division Legere de Cavalerie (DLC). He saw action in the Battle of the Meuse, in May 1940, when the German Army marched through the Ardennes into northern France. The 3rd DLC retreated from Meuse to Mussidan in the Dordogne where the division was demobilised after the Armistice was declared on the 22nd of June, 1940. Returning to Paris, Tati resumed his civilian profession as a cabaret performer, finding employment at Léon Volterra's Lido de Paris, where he performed his Sporting Impressions from 1940-42. At the Lido de Paris he met and fell in love with the young Austrian/Czech dancer Herta Schiel, who had fled Vienna with her sister Molly at the time of the Anschluss. In the summer of 1942 Herta gave birth to their daughter, Helga Marie-Jeanne Schiel. Due to pressure from his sister Nathalie, Tati refused to recognise the child and was forced by Volterra to depart from the Lido at the end of the 1942 season. In 1943, after a short engagement at the ABC, where Édith Piaf was headlining, Tati left Paris under a cloud, with his friend Henri Marquet, and they settled in the Village of Sainte-Sévère-sur-Indre. While residing there they completed the script for L'École des facteurs (The School for Postmen) that would later provide material for his first feature, Jour de fête. Herta Schiel would remain in Paris throughout the war, where she would make acquaintance with the physician Jacques Weil when he was called upon to treat her sister Molly for the then-incurable tuberculosis (TB). Through Weil, second in command of the Juggler network of the SOE F Section networks, both sisters were recruited into the French Resistance. In 1944, Tati returned to Paris and, after a brief courtship, married Micheline Winter. In early 1946 Jacques Tati and Fred Orain founded the production company Cady-Films, which would produce Tati's first three films. With the exception of his first and last films, Tati played the gauche and socially inept lead character, Monsieur Hulot. With his trademark raincoat, umbrella and pipe, Hulot is among the most memorable comic characters in cinema. Several themes recur in Tati's work, most notably in Mon Oncle, Play Time and Trafic. They include Western society's obsession with material goods, particularly American-style consumerism, the pressure-cooker environment of modern society, the superficiality of relationships among France's various social classes, and the cold and often impractical nature of space-age technology and design. On October 23, 1946 Tati fathered his second child, Sophie Catherine Tatischeff. René Clément was first approached to direct "L'École des facteurs", but as he was preoccupied directing La Bataille du rail, directing duties fell to Tati, who would also star in this short comedy of rural life. Encouragingly, L'École des facteurs was enthusiastically well received upon release, winning the Max Linder Prize for film comedy in 1947. Tati's first major feature, Jour de fête (The Big Day), tells the story of an inept rural village postman who interrupts his duties to inspect the traveling fair that has come to town. Influenced by too much wine and a documentary on the rapidity of the American postal service, he goes to hilarious lengths to speed his mail deliveries aboard his bicycle. Tati filmed it in 1947 in the village of Sainte-Sévère-sur-Indre where he had found refuge during the war. Due to the reluctance of French distributors, Jour de fête was first successfully released in London in March 1949 before obtaining a French release on 4 July 1949, where it became a great public success, receiving the 1950 Le Grand prix du cinéma français. The film was intended to be the first French feature film shot in colour; Tati simultaneously shot the film in black and white as an insurance policy. The newly developed Thomson colour system proved impractical, as it could not deliver colour prints. Jour de fête was therefore released only in black and white. Unlike his later films, it has many scenes with dialogue, and offers a droll, affectionate view of life in rural France. The colour version was restored by his younger daughter, film editor and director Sophie Tatischeff, and released in 1995. The film won the Prize for Best Original Script at the Venice Film Festival. 1949 was also the year of the birth of Tati's son, Pierre-François Tatischeff, alias Pierre Tati. Both Pierre and Sophie would go on to work in the French film industry in various capacities, beginning in the early 1970s. Notably, they both worked on Jean-Pierre Melville's last film, Un flic, (1972). Tati's second film, Les Vacances de Monsieur Hulot (Monsieur Hulot's Holiday), was released in 1953. Les Vacances introduced the character of Mr. Hulot and follows his adventures in France during the mandatory August vacation at a beach resort, lampooning several hidebound elements of French political and social classes. It was shot almost entirely in the tiny west-coast seaside village of Saint-Marc-sur-Mer in the Loire Atlantique region. The hotel in which Mr. Hulot stays (l'Hôtel de la Plage) is still there, and a statue memorialising the director has been erected on the beach. Tati had fallen in love with the coast while staying in nearby Port Charlotte with his friends, Mr. and Mrs. Lemoine, before the war, and resolved to return one day to make a film there. The film was widely praised by critics, and earned Tati an Academy Award nomination for Best Original Screenplay, which was shared with Henri Marquet. Production of the movie would also see the reintroduction of Jacques Lagrange into Tati's life, beginning a lifelong working partnership with the painter, who would become his set designer. Les Vacances de Monsieur Hulot remains one of the best-loved French films of that period. The film's comic influence has extended well beyond France and can be found as recently as 2007 in the Rowan Atkinson comic vehicle Mr. Bean's Holiday. "Tati could easily have made lots of money with sequels featuring his comic character of the little rural mailman. He chose instead to wait for four years, and, after much reflection, he revised his formula completely. The result this time was an extraordinary masterpiece about which one can say, I think, that it is the most radical innovation in comic cinema since the Marx Brothers: I am referring, of course, to Les Vacances de M. Hulot." Various problems would delay the release of Tati's follow-up to his international hit. In 1955 he suffered a serious car accident that physically impaired his left hand. Then a dispute with Fred Orain ensued and Tati broke away from Cady Films to create his own production company, Spectra Films, in 1956. Tati's next film, 1958's Mon Oncle (My Uncle), was his first film to be released in colour. The plot centers on Mr. Hulot's comedic, quixotic and childlike struggle with postwar France's obsession with modernity and American-style consumerism, entwined with the relationship he has with his nine-year-old nephew Gérard. Mon Oncle quickly became an international success, and won that year's Academy Award for Best Foreign Language Film, a Special Prize at Cannes, as well as the New York Film Critics Award. In Place de la Pelouse (Saint-Maur-des-Fossés) stands a bronze statue of Tati as Monsieur Hulot talking to a boy, in a pose echoing the movie's poster designed by Pierre Étaix. On receiving his Oscar, Tati was offered any treat that the Academy could bestow on him. To their surprise, Tati simply requested the opportunity to visit Stan Laurel, Mack Sennett and Buster Keaton at their nursing homes. Keaton reportedly said that Tati's work with sound had carried on the true tradition of silent cinema. "I picked these particular films because they are the ones that have inspired me most. I think each is a masterpiece." Of Tati, Lynch would add in a conversation with Jonathan Rosenbaum, "You know, I feel like in a way he's a kindred soul... That guy is so creative, it's unbelievable. I think he's one of the all-time greats." Considered by many his masterpiece, Play Time (1967), shot in 70mm, was to be the most ambitious yet risky and expensive work of Tati's career. "After the success of Mon Oncle in 1958, Jacques Tati had become fed up with Monsieur Hulot, his signature comic creation. With international renown came a growing dissatisfaction with straightforward scenarios centered around one lovable, recognizable figure. So he slowly inched his way toward a new kind of film, a supremely democratic film that would be about “everybody”. It took nine years to make, and he had to borrow heavily from his own resources to complete the picture. "At the time of its making, Playtime (1967) was the most expensive film in French history." "Playtime is the big leap, the big screen. I'm putting myself on the line. Either it comes off or it doesn't. There's no safety net." On the outskirts of Paris, Tati famously built an entire glass and steel mini-city (nicknamed Tativille) for the film, which took years to build and left him mired in debt. In the film, Hulot and a group of American tourists lose themselves in the futuristic glass and steel of commercially globalised modern Parisian suburbs, where only human nature and a few reflective views of the old city of Paris, itself, still emerge to breathe life into the sterile new metropolis. Play Time had even less of a plot than his earlier films, and Tati endeavored to make his characters, including Hulot, almost incidental to his portrayal of a modernist and robotic Paris. Play Time was originally 155 minutes in length, but Tati soon released an edited version of 126 minutes, and this is the version that became a general theatre release in 1967. Later versions appeared in 35mm format. In 1979, a copy of the film was revised again to 108 minutes, and this re-edited version was released on VHS video in 1984. Though Play Time was a critical success (François Truffaut praised it as "a film that comes from another planet, where they make films differently"), it was a massive and expensive commercial failure, eventually resulting in Tati's bankruptcy. "Tati had approached everybody from Darryl F Zanuck to the prime minister Georges Pompidou in a bid to get the movie completed. His personal overdrafts began to mount, and long before Playtime was finished," Bellos notes, "Tati was in substantial debt to the least forgiving of all creditors, the Collectors of Taxes." When he failed to pay off his loans, his films were impounded by the banks". Tati was forced to sell the family house of Saint-Germain shortly after the death of his mother, Claire Van Hoof, and move back into Paris. Spectra Films was then placed into administration, concluding in the liquidation of the company in 1974, with an auction of all movie rights held by the company for little more than 120,000 francs. In August 2012 the British Film Institute, polled 846 critics, programmers, academics and distributors to find "The Top 50 Greatest Films of All Time" and Play Time was voted 42nd in the list  In the corresponding “Directors Poll” by the BFI, Playtime was awarded the accolade of being seen as the 37th greatest film of all time by his fellow directors. Steven Spielberg has said he was paying a "very slight homage" to Play Time in his 2004 film The Terminal, adding, "I thought of two directors when I made Terminal. I thought this was a tribute to Frank Capra and his honest sentiment, and it was a tribute to Jacques Tati and the way he allowed his scenes to go on and on and on. 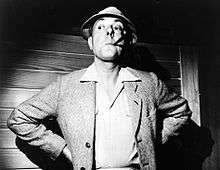 The character he played in Monsieur Hulot's Holiday and Mon Oncle was all about resourcefulness and using what's around him to make us laugh". In 1969, with reduced means, Jacques Tati created a new production company, CEPEC, to oversee his opportunities in movie and TV production. In 1978, Tati began filming a short documentary on Corsican football team SC Bastia playing the UEFA Cup Final, "Forza Bastia", which he did not complete. His younger daughter, Sophie Tatischeff, later edited the remaining footage, which was released in 2002 after her own death from lung cancer in 2001. Weakened by serious health problems, Tati died on 4 November 1982, of a pulmonary embolism, leaving a final scenario called Confusion that he had completed with Jacques Lagrange. In the original script an aging Mr. Hulot was slated to be accidentally killed on-air. Ron Mael and Russell Mael would have played two American TV studio employees brought to a rural French TV company to help them out with some American technical expertise and input into how TV is really done. While the script still exists, Confusion was never filmed. What would have been its title track, "Confusion", appears on Sparks' 1976 Big Beat album with the internal sleeve of its 2006 re-mastered CD featuring a letter announcing the pending collaboration, as well as a photo of the Mael brothers in conversation with Tati. Catalogued in the CNC (Centre National de la Cinématographie) archives under the impersonal moniker ‘Film Tati Nº 4’, written in the late 1950s, the treatment was to have been the follow-up to Tati’s internationally successful Mon Oncle. It tells the bittersweet tale of a modestly talented magician — referred to only as the Illusionist — who, during a tour of decaying music halls in Eastern Europe, protectively takes an impoverished young woman under his wing. The semi-autobiographical script that Tati wrote in 1956 was released internationally as an animated film, The Illusionist, in 2010. Directed by Sylvain Chomet, known for The Triplets of Belleville, the main character is an animated caricature of Tati himself. Tati's former colleagues at the Lido de Paris were appalled at his caddish behaviour and shunned him. As a result, he moved first to Berlin then to the village of Sainte-Sévère-sur-Indre, which later inspired his hugely successful film, Jour de Fête. During the 1980’s, concerned that their fathers legacy would be permanently lost Pierre and Sophie Tatischeff tracked the rights to their father’s oeuvre to a bank in Switzerland. The bank unable to trace the owner who had made the deposit eventually awarded Pierre and Sophie as heirs to their father’s estate back the rights to his oeuvre. Having lost her brother Pierre to a traffic accident and having herself been diagnosed terminally ill Sophie Tatischeff took the initiative to setup Les Films de Mon Oncle in 2001, to preserve, restore and circulate the work of Jacques Tati. Enrolling the service of, Jérôme Deschamps the artistic and cultural mission of Les Films de Mon Oncle is to allow audiences as well as researchers to (re-)discover the work of Tati the film-maker, his archives, and to ensure its influence around the world. The restoration of PlayTime first began in 1998 when Sophie Tatischeff made the acquaintance of Jean-Rene Failot technical director of the Gulliver Arane, the only remaining large format film laboratory in Europe  After difficulties acquiring appropriate funding the restored version of PlayTime was not presented until 2002 at the 55th Cannes Film Festival 8 months after the death of Sophie Tatischeff. In 2004, Les Films de Mon Oncle completed the restoration of My Uncle, the English version of Mon Oncle. This was later followed by demanding editorial work for the DVDs of these films including original bonuses and a double CD titled “Tati Sonorama!” with the complete collection of film scores and sound track clips. In 2009, the partner of Deschamps, Macha Makeïeff designed the exhibition “Jacques Tati, deux temps, trois mouvements” at the Cinémathèque française in Paris, for which she is co-curator along with Stephane Goudet, and installed the full-scale mythical Villa Arpel, the set of Mon Oncle created by Jacques Tati and his friend Jacques Lagrange, at the 104 (Paris, 19th arrondissement). In 2014 Les Films de Mon Oncle formed a partnership with StudioCanal,Vivendi who now oversee international distribution of the oeuvre of Jacques Tati having released digitally restored versions of all his short and long films as boxsets in both DVD and Blu-Ray. 1972 Obraz uz obraz Yes Zak Episode: "1.5"
6th Moscow International Film Festival, Silver Prize for Playtime. ↑ (Bellos 2002, 2), «Les Cadres Van Hoof». ↑ (Bellos 2002, 3), «Le dragon». ↑ (Bellos 2002, 4), «Drôle d'école». ↑ (Bellos 2002, p. 56 et 57) : affiches pour 1931 (Sport muet par Jacques Tattischeff) et 1933, où il est cité en haut de l'affiche : J. Taticheff. ↑ (Bellos 2002, 6, 8, 10). ↑ Colette, "Spectacles de Paris", Le Journal, 28 June 1936, quoted in (Bellos 2002, 63). ↑ David Bellos, « La postérité de M. Hulot », sur Nonfiction, 25 mars 2008. ↑ "l'Hotel de la Plage"
↑ Simkins, Michael (2010-04-24). "Happy vacances: Jacques Tati's France". The Guardian. London. ↑ "Jacques Tati, a new outlet for what?" ↑ (Bellos 1999, p. 226), « The Old World and the New ». ↑ "Roger Ebert, Ebertfest, Playtime"
↑ "Entertainment Weekly, Movie Preview of The Terminal"
↑ "Directors Guild of America, Age of innocence Interview Steven Spielberg"
↑ Paris Match, 19 novembre 1982, no. 1747. ↑ Galliano, Joseph (2009-10-30). "Striking Sparks with Bergman – The Mael brothers' new album takes a poke at Hollywood". The Times. London. Retrieved 24 April 2010. ↑ Sony Classics, The Illusionist presskit"
↑ New York Times, Conjuring Tati’s Spirit With Animation"
↑ Hamilton, Fiona; Coates, Sam; Savage, Michael (2007-02-17). "Cut the cute". The Times. London. ↑ "Jacques Tati's lost film reveals family's pain". Guardian article 2010-01-31. ↑ "Illusions of grandeur". Irish Independent. 2010-08-21. ↑ "6th Moscow International Film Festival (1969)". MIFF. Archived from the original on 2013-01-16. Retrieved 2012-12-17. Wikimedia Commons has media related to Jacques Tati.